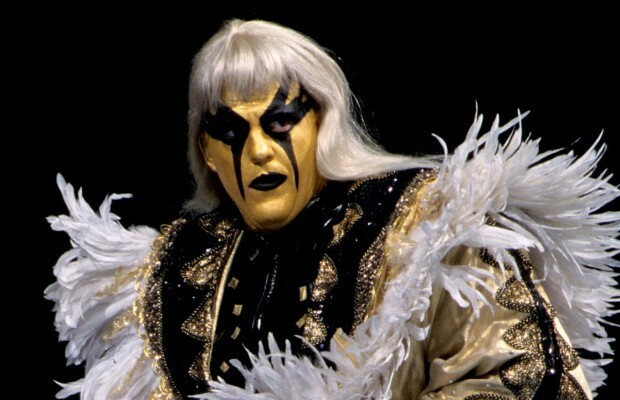 April 2, 1995 – Wrestlemania XI: Owen and Yokuzuna (mystery partner) defeated the Smoking Gunns for the WWF Tag Team titles..
April 8, 1995 – Superstars: Lex Luger and The British Bulldog defeated tag team champions Owen Hart and Yokozuna by disqualification. April 10, 1995 – RAW: Bret Hart, Bob Holly and The 1-2-3 Kid defeated Owen Hart, Yokozuna and Hakushi. April 17, 1995 – RAW: Tag team champions Owen Hart and Yokozuna defeated Bob Holly and The 1-2-3 Kid to retain the titles. April 22, 1995 – Superstars: Tag team champions Owen Hart and Yozokuna defeated John Chrystal and Leroy Howard to retain the titles. April 23, 1995 – Wrestling Challenge: Tag team champions Owen Hart and Yokozuna defeated Tim McNeany and Bill Payne to retain the titles. April 29, 1995 – Superstars: Lex Luger and The British Bulldog defeated tag team champions Owen Hart and Yokozuna by disqualification. 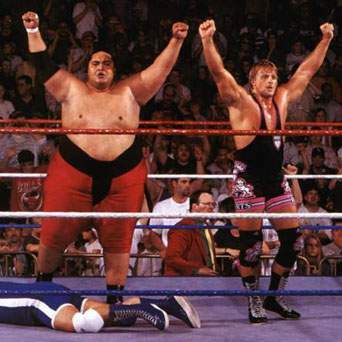 May 6, 1995 – Superstars: Tag team champions Owen Hart and Yokozuna defeated Fatu and Sionne to retain the titles. May 14, 1995 – Wrestling Challenge: Tag team champions Owen Hart and Yokozuna defeated Gary Anderson and Kevin Krueger to retain the titles. May 14, 1995 – In Your House I: Owen Hart and Yokozuna defeated The Smoking Gunns to retain the Tag titles..
June 5, 1995 – RAW: Tag team champions Owen Hart and Yokozuna defeated The Smoking Gunns to retain the titles in a dark match. June 26, 1995 – RAW: Tag team champions Owen Hart and Yokozuna defeated Gus Kantarakis and Jim Dimitri to retain the titles. July 2, 1995 – Wrestling Challenge: Tag team champions Owen Hart and Yokozuna defeated Dave Thornberg and Jeff Williams to retain the titles. July 15, 1995 – Superstars: Tag team champions Owen Hart and Yokozuna defeated John Chrystal and Mike Khoury to retain the titles. July 23, 1995 – In Your House II: Owen Hart and Yokozuna defeated Lex Luger and British Bulldog to retain the Tag titles..
July 24, 1995 – RAW: Razor Ramon and Savio Vega defeated tag team champions Owen Hart and Yokozuna by count-out. 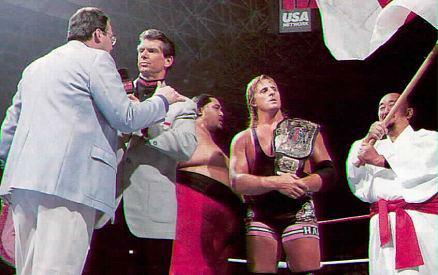 Owen Hart and Yokozuna defeated Savio Vega and Razor Ramon to retain the tag team titles. August 28, 1995 – RAW: Tag team champions Owen Hart and Yokozuna defeated King Mabel and Sir Mo. September 1, 1995 – Live Event: Lex Luger and Shawn Michaels defeated tag team champions Yokozuna and Owen Hart by disqualification. September 9, 1995 – Superstars: Tag Team champions Owen Hart and Yokozuna defeated AC Conner and Tony Williams to retain the titles. September 24, 1995 – In Your House III: Diesel and Shawn Michaels defeated Yokozuna and British Bulldog to win the Tag titles..
~~~The decision is reversed because the Bulldog was subbing for Owen but Owen was pinned after he showed up late..
September 25, 1995 – RAW: The Smoking Gunns defeated Owen Hart and Yokozuna to win the Tag team titles. December 18, 1995 – RAW: Tag team champions The Smoking Gunns defeated Owen Hart and Yokozuna, Razor Ramon and Savio Vega & Sid and The 1-2-3 Kid in a tag team elimination match to retain the titles. 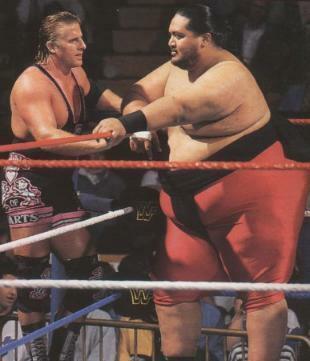 February 19, 1996 – RAW: Yokozuna defeated Owen Hart and The British Bulldog by count-out in a handicap match. 1996 – Monday Night Raw: Owen Hart vs Shawn Michaels ended in a no contest, in a shocking night of drama..
~~~Owen hit Michaels with a kick to the back of the head, causing him to collapse and was stretchered out..